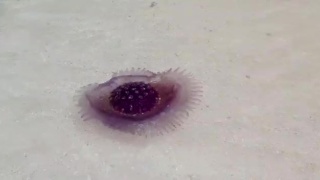 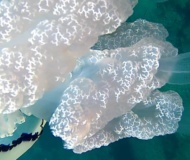 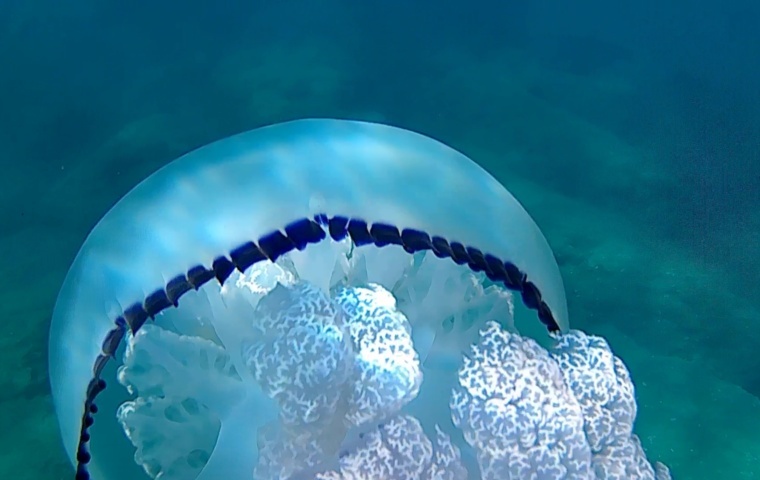 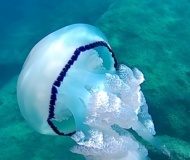 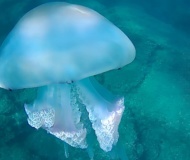 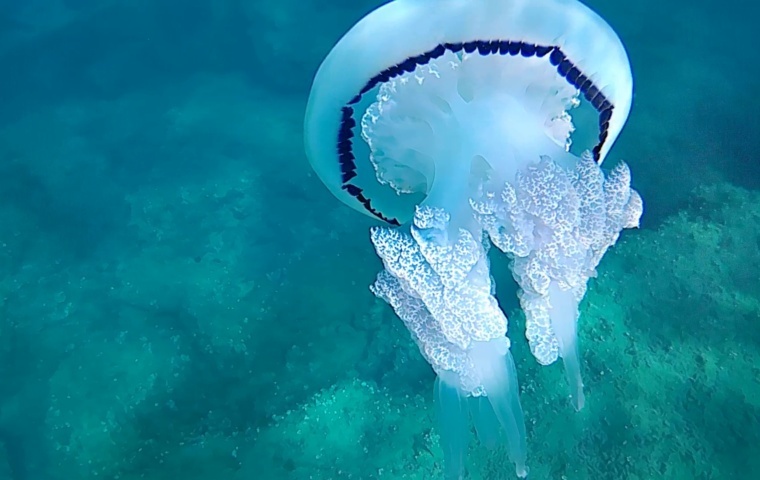 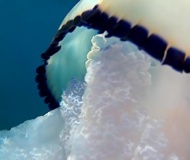 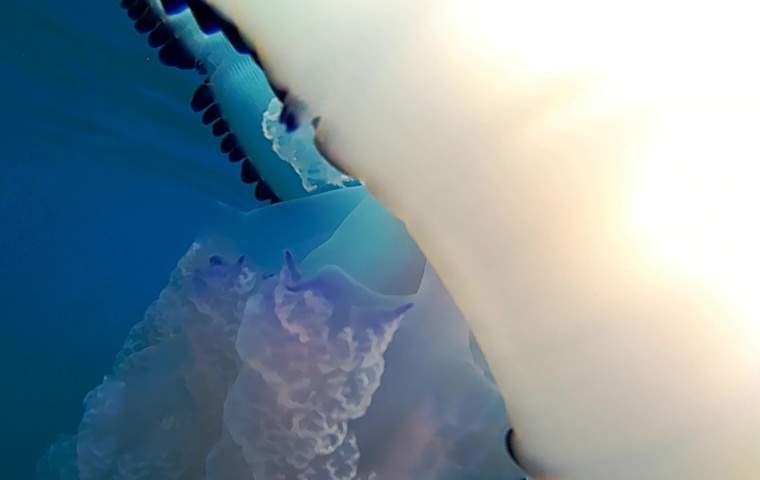 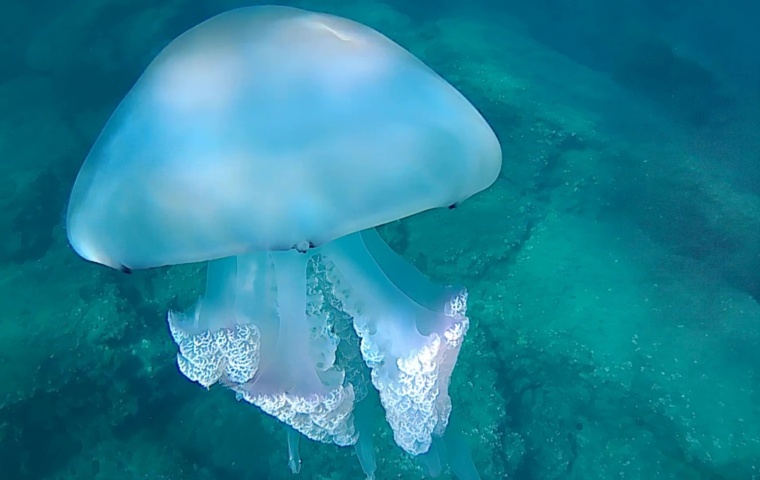 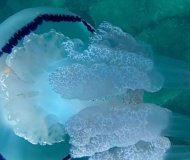 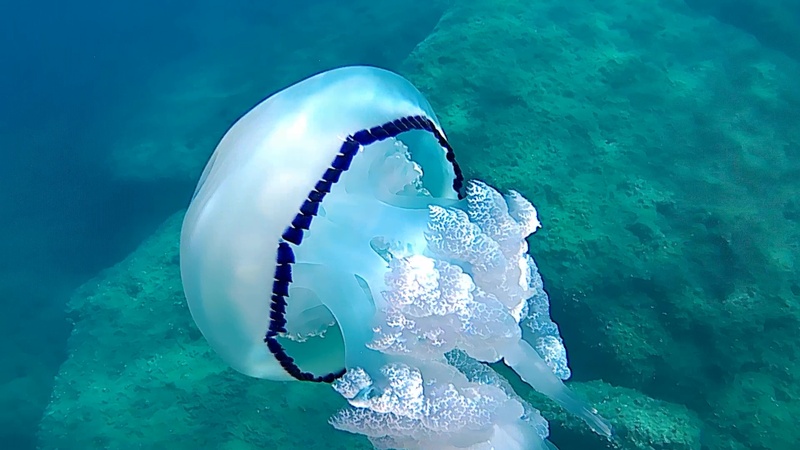 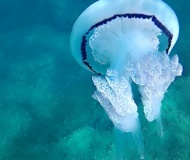 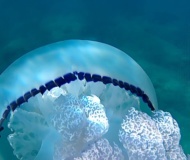 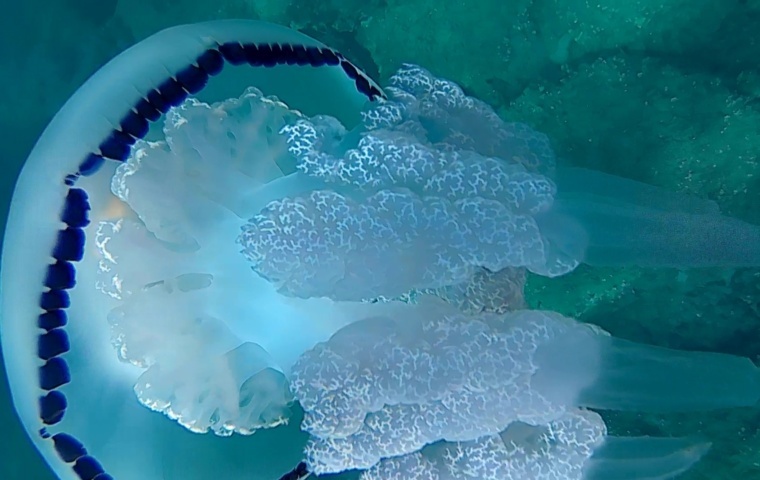 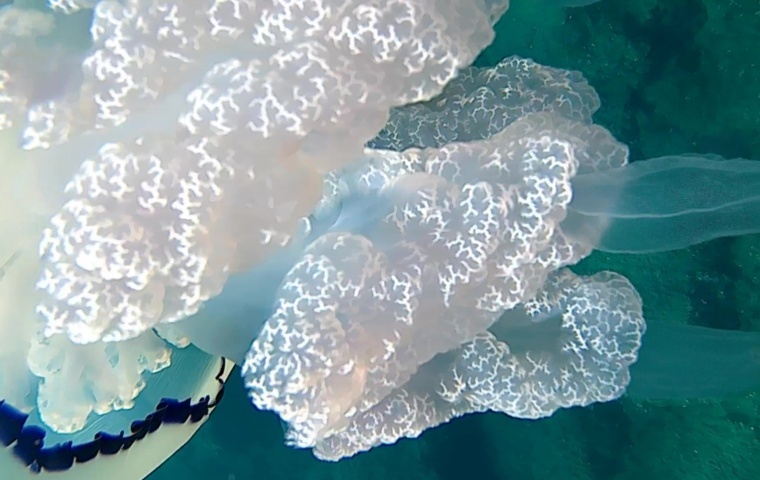 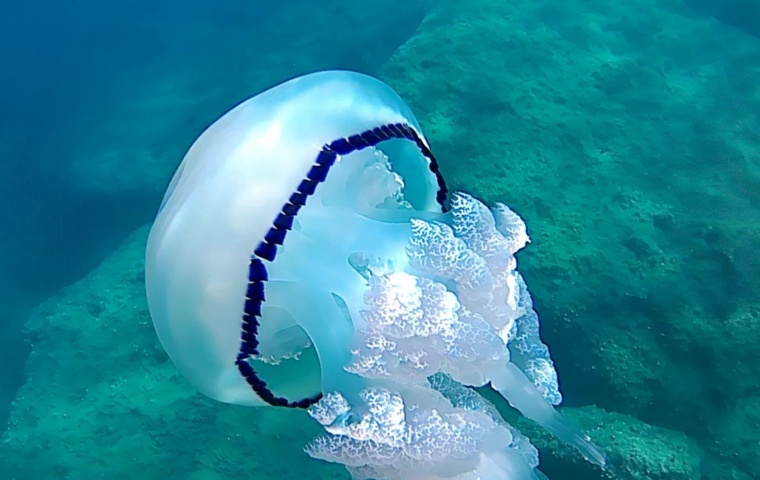 Rhizostoma pulmo, commonly known as the barrel jellyfish, the dustbin-lid jellyfish or the frilly-mouthed jellyfish, is a scyphomedusa in the family Rhizostomidae Rhizostomatidae. 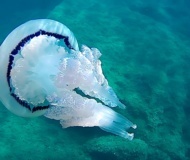 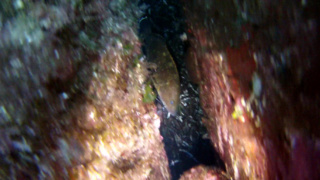 It is found in the northeast Atlantic, and in the Mediterranean Sea, Black Sea, and Sea of Azov. 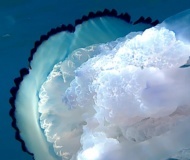 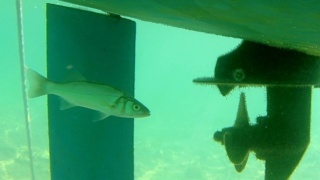 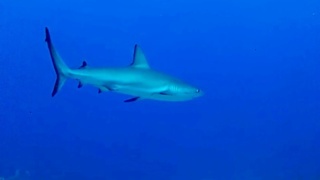 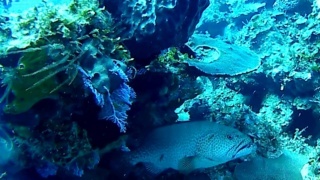 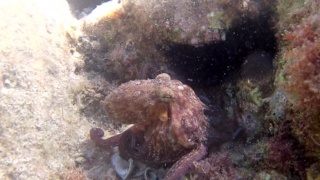 It is also known from the southern Atlantic off the western South African coast and into False Bay. 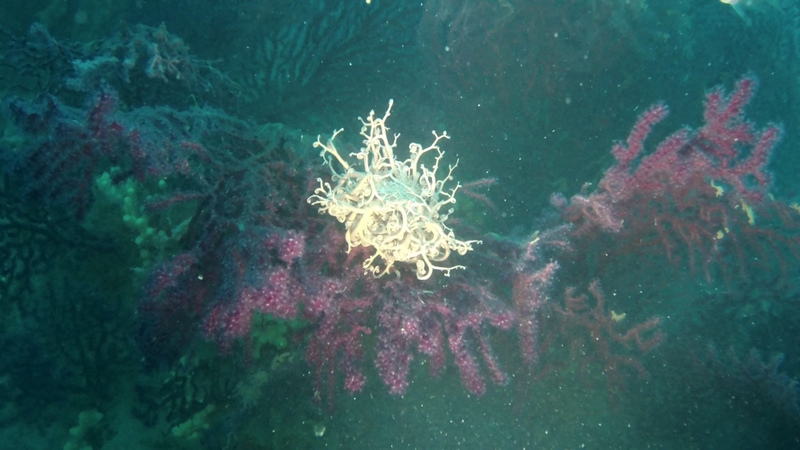 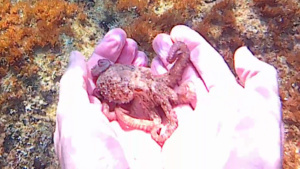 It is common in the Irish Sea. 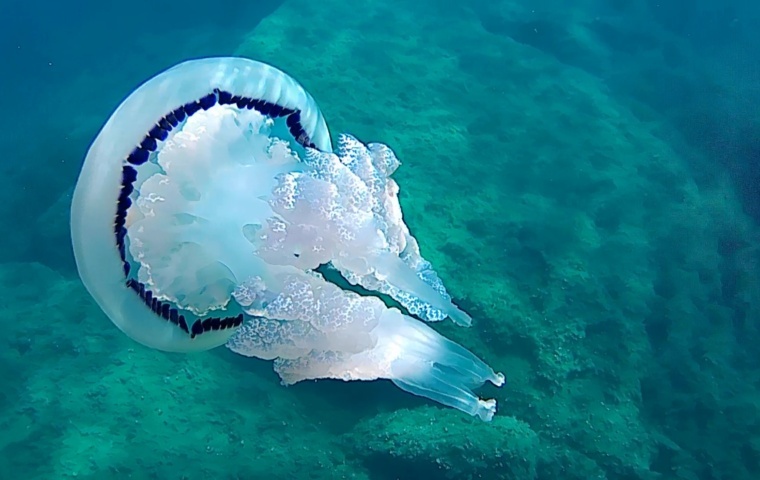 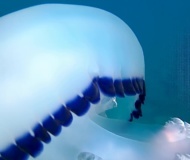 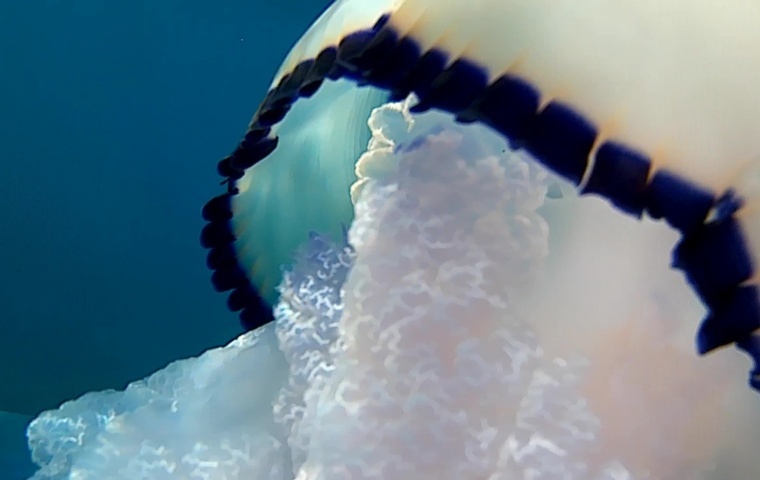 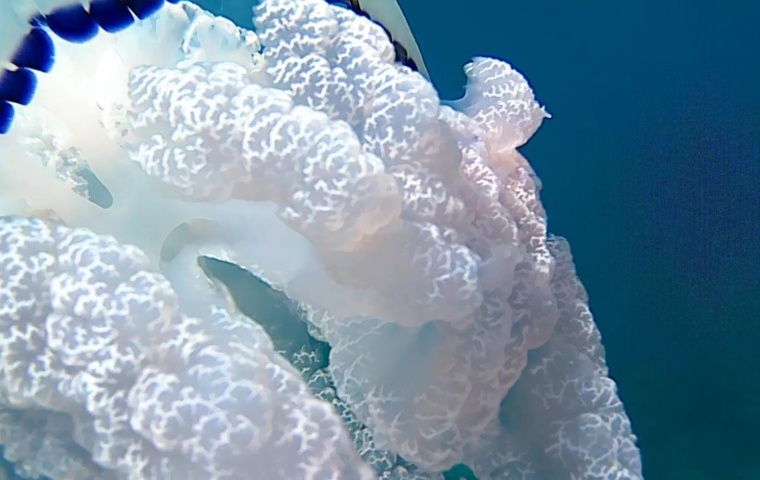 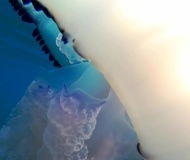 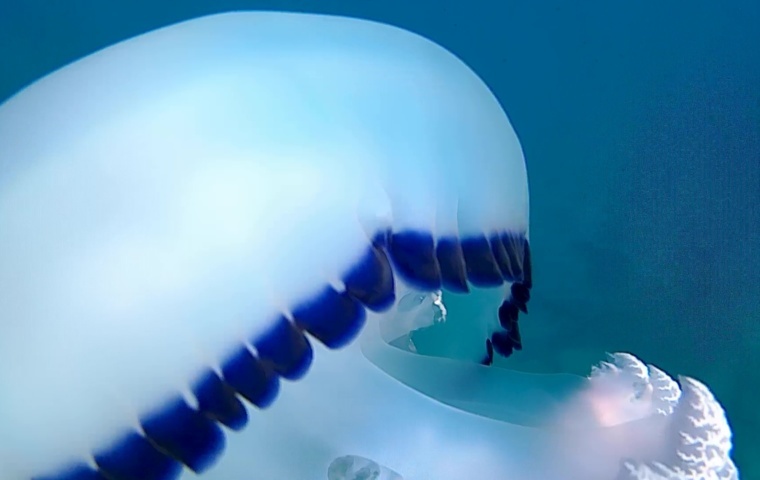 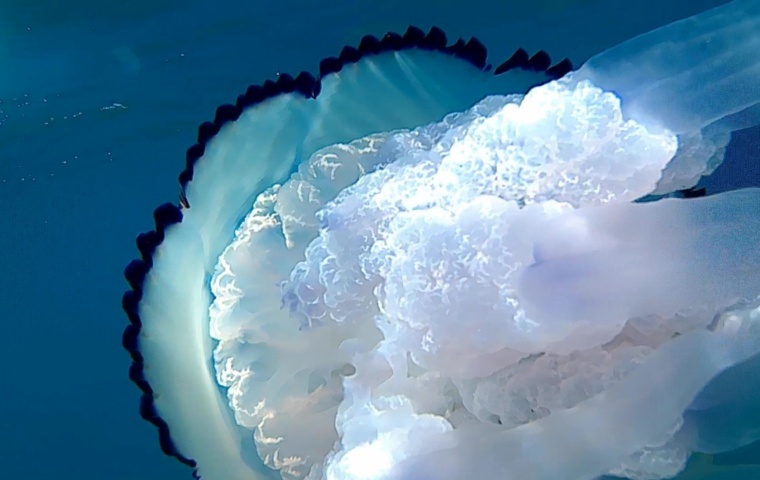 It typically is up to 40 cm in diameter, but can exceptionally reach 90 cm, making it the largest jellyfish in British waters.